The effects of crude ethanol derived leaf extract Trichodesma indicum (Linn) (Ex-Ti) and their chief derivatives were accessed on the survival and development of the dengue mosquito Ae. aegypti also their non-toxic activity against mosquito predator. T. indicum is recognized to be the vital weed plant and a promising herb in the traditional ayurvedic medicine. In this study, the GC-MS chromatogram of Ex-Ti showed higher peak area percentage for cis-10-Heptadecenoic acid (21.83%) followed by cycloheptadecanone (14.32%). The Ex-Ti displayed predominant mortality in larvae with 96.45 and 93.31% at the prominent dosage (200 ppm) against III and IV instar. Correspondingly, sub-lethal dosage against the enzymatic profile of III and IV instar showed downregulation of α,β-carboxylesterase and SOD protein profiles at the maximum concentration of 100 ppm. However, enzyme level of GST as well as CYP450 increased significantly dependent on sub-lethal concentration. Likewise, fecundity and hatchability of egg rate of dengue mosquito decreased to the sub-lethal concentration of Ex-Ti. Repellent assay illustrates that Ex-Ti concentration had greater protection time up to 210 min at 100 ppm. Also, activity of Ex-Ti on adult mosquito displayed 100% mortality at the maximum dosage of 600, 500 and 400 ppm within the period of 50, 60 and 70 min, respectively. Photomicrography screening showed that lethal dosage of Ex-Ti (100 ppm) produced severe morphological changes with dysregulation in their body parts as matched to the control. 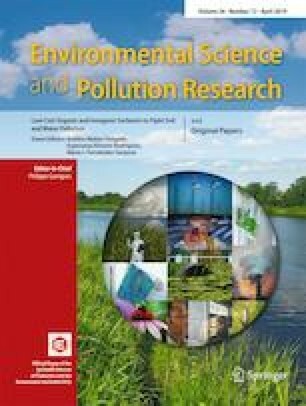 Effects of Ex-Ti on the Toxorhynchites splendens IV instar larvae showed less mortality (43.47%) even at the maximum dosage of 1500 ppm as matched to the chemical pesticide Temephos. Overall, the present research adds a toxicological valuation on the Ex-Ti and their active constituents as a larvicidal, repellent and adulticidal agents against the global burdening dengue mosquito. Author MC was supported by the Department of Science and Technology, Science and Engineering Research Board (SERB), Government of India (File No. PDF/2016/001185).